Archbishop Fulton J. Sheen was a great American Catholic and likely a Saint. Here is the novena for his canonization. Join in prayer with all those who have a special devotion to Archbishop Fulton J. Sheen for his canonization if it is God’s will. Lord, help us to focus on You as Fulton Sheen did so that we may be humble when looking upon ourselves, so that others will see You when they look upon us, and so we can see our lives as You see it. Lord, Fulton Sheen reached out to people of every religion. Help us to see others as You see them and to focus on what we have in common instead of our differences. Lord, help me to see you in others like Fulton Sheen did so I can become one with them as we will all be one in heaven. Help me to realize that separation from You means an empty heart for me. Lord, Fulton Sheen led so many to peace of soul by introducing them to your forgiveness. Help us to share your gift of peace to others by introducing them to Your true loving forgiveness and gift of confession. Help us to learn to ask for the food and drink we truly need. Lord, Fulton Sheen loved you above all things. Help us to choose to put you first in our lives so we can learn what true love is. Lord, even when tired and sick Fulton Sheen worked unceasingly for your cause. Help us to learn how to tirelessly work for You through Fulton Sheen. Help us to know that there is no rest unless it is in You. Lord, Fulton Sheen learned obedience at the school of Mary. He had such a great relationship with her. He knew that when he went before the judgment seat of Christ You would say “I heard My mother speak of you.” Help us to better know Mary so we may gain insight into such great obedience, love, faith and hope. Lord, Fulton Sheen did not ask others to go to confession or visit our Lord an hour a day without doing it himself. He practiced what he preached. Guard us from hypocrisy and help us to lead others to you through our actions. Lord, Fulton Sheen always thought of himself as an unworthy servant and never thought himself a saint. Help us to be humble in our service and to realize as Fulton Sheen realized that all good works come from You. Heavenly Father, source of all holiness, You raise up within the Church in every age men and women who serve with heroic love and dedication. 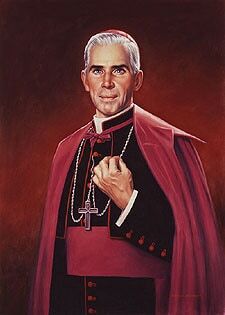 You have blessed Your Church through the life and ministry of Your faithful servant, ARCHBISHOP FULTON J. SHEEN. 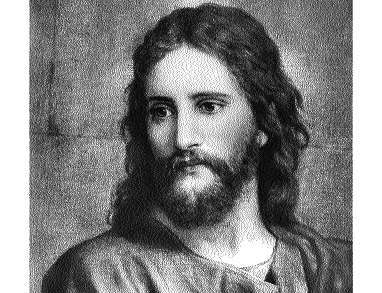 He has written and spoken well of Your Divine Son, Jesus Christ, and was a true instrument of the Holy Spirit in touching the hearts of countless people. If it be according to Your Will, for the glory of the Most Holy Trinity and for the salvation of souls, we ask You to move the Church to proclaim him a saint. We ask this prayer through Jesus Christ, our Lord.